Joel Embiid and Ben Simmons, are big hits here in China. 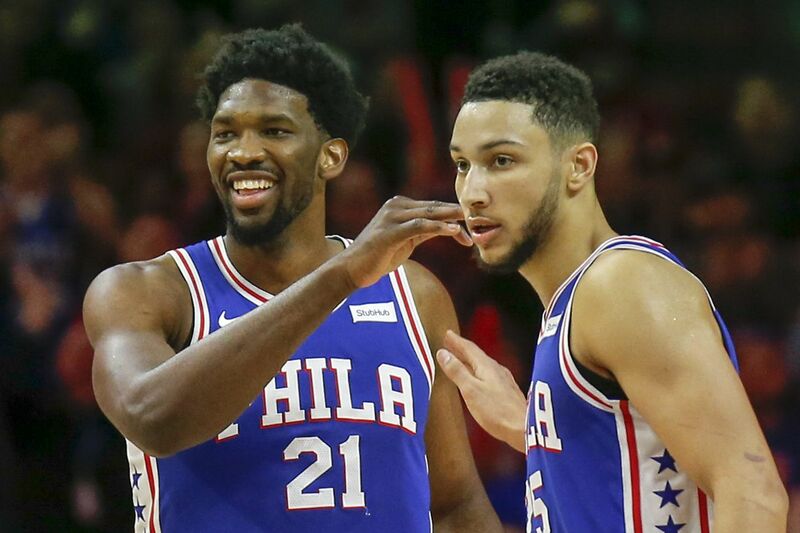 SHANGHAI, China — Ben Simmons and Joel Embiid are big hits in China. Embiid's likeness is on bottles of Master Kong ice tea here. Meanwhile, Simmons is featured on a Beats by Dre billboard outside of Super Brand Mall. And everywhere the 76ers duo goes here in Shanghai, folks are seeking autographs. It's obvious that the international standouts are more than icons in the United States. Simmons, a native of Australia, and Cameroonian Embiid are recognized in this country, if not all over the world. Brett Brown is far from surprised. "I put on my sunglasses and baseball hat and walked around Melbourne [Australia] in the summer time, and the same thing, there's Ben [on a billboard] right in the middle of Melbourne in their version of Times Square," Brown said. "Somebody told me that we were the most exciting team to watch, and those two guys are a huge part of that." Due to their popularity here, Simmons and Embiid both made scheduled public appearances on Wednesday. Embiid went to a Master Kong event, while Simmons made a stop at the renowned Nike Store at WZK. The point guard also has an endorsement deal with the sneaker company. "In the internet these days, everybody is caught up with everything," Simmons said of becoming a global icon. "It doesn't matter where you are, everybody knows. So it's just cool to see love from everywhere in the world." He realizes that his global popularity and brand is because basketball "translates world-wide." "If you are good in America, people are going to show [love] whenever you are," Simmons said. "People just love that game. I think that's cool, and just brings everybody together." The Sixers starters have played anywhere from 20 to 26 minutes in their first two preseason games. Their minutes could increase in Friday's preseason game against the Dallas Mavericks at Mercedes-Benz Arena. "I may go a little bit longer than I have been going with some of our starters," Brown said after Wednesday's practice. "But by and large, we are thoughtful and solid on what we've been doing. I think game three will take more the shape of what I just explained." The team concludes the postseason on Monday in Shenzhen against the Mavericks at the Shenzhen University Center. Brown said he'll feel things out in regards to how long his starters will play in that game.